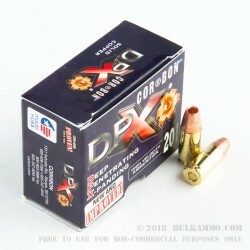 Cor-bon was one of the first players to the ultra-premium self-defense ammunition sector early on when highly engineered personal defense rounds began to be heavily marketed. 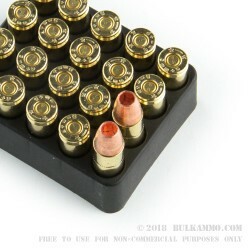 This load represents their latest addition to the personal defense market in a round that is considered the mainstay for most shooters: 9mm Luger. 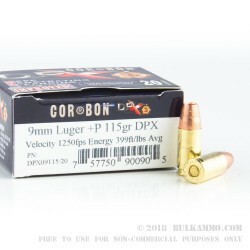 Considering Cor-Bon’s strong history in the personal defense marketplace, this ammo, which utilizes high quality components, has a certain credibility compared to others with a ton of marketing hype. The Barnes TAC-XP all coper projectile and a +P load of low flash powder means Cor-Bon is coming to the table, ready to prove it’s a top choice. This all copper projectile is a perfect choice for concealed carriers, with the lower deflection of the material and styling. The deep pocket of the hollow point makes it very good at shooting through layers of heavy clothing or other objects, including car doors or glass windows, etc. 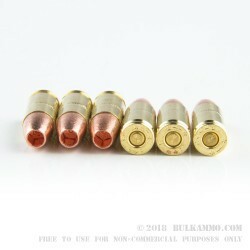 Substantial penetration and hard hitting energy dump comes from a 115 grain projectile that goes out of the muzzle at 1250 feet per second and delivers just shy of 400 ft. lbs. of energy at exit. This round is an essential candidate for those serious about everyday carry with a 9x19 pistol.